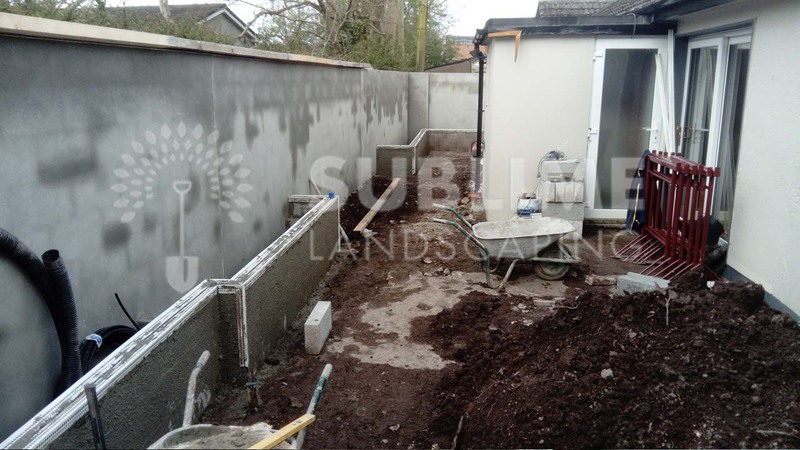 The project consisted of building a plastered wall on the boundary to give security and privacy to the small back garden. 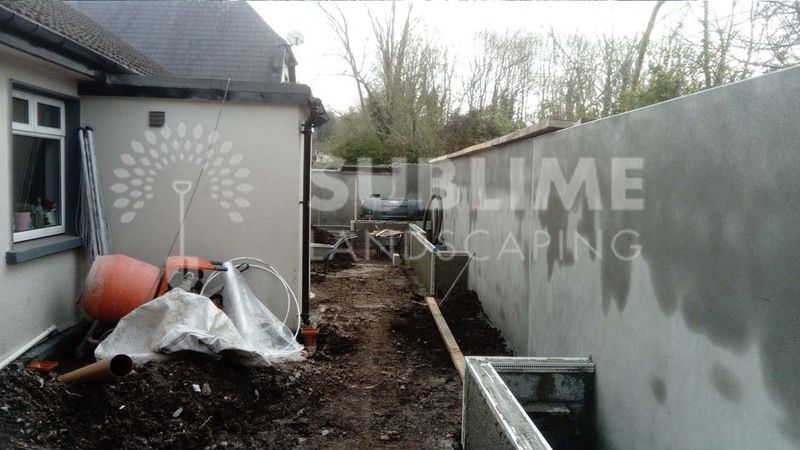 Sublime Landscaping also created a limestone patio, built a raised bed for cluster formed bamboo planting and other sub tropical planting. 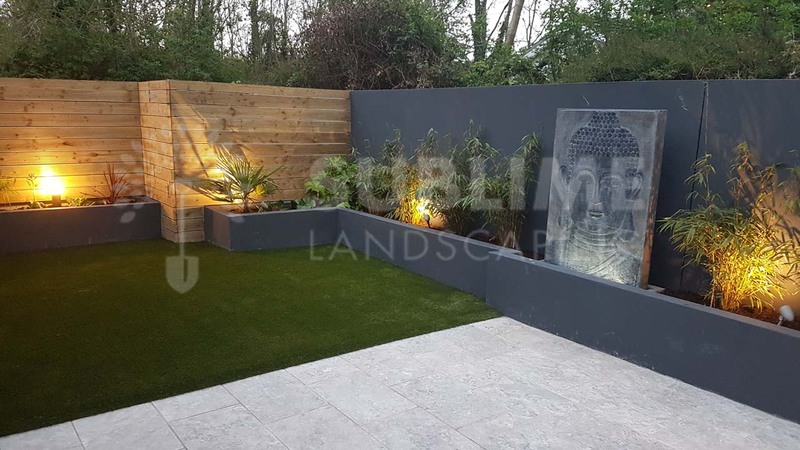 Since the ground conditions were poor in the back garden compounded by the area north facing with tall adjacent trees in surrounding properties, synthetic (artificial grass) was the obvious choice for the client who wanted to create the look of a natural lawn within the back garden. 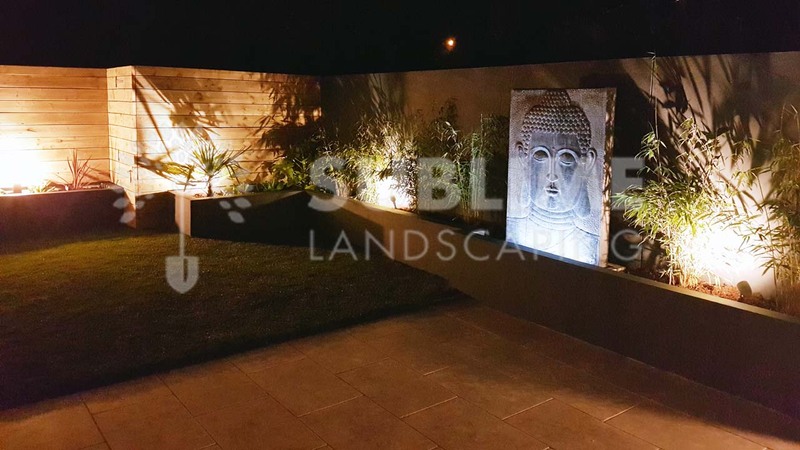 The end result, a modern low maintenance garden with a light relaxing feeling to it, with a large Buddha to keep an eye on things. My wife and I wanted to convert our dark narrow concrete back yard into something more inviting. 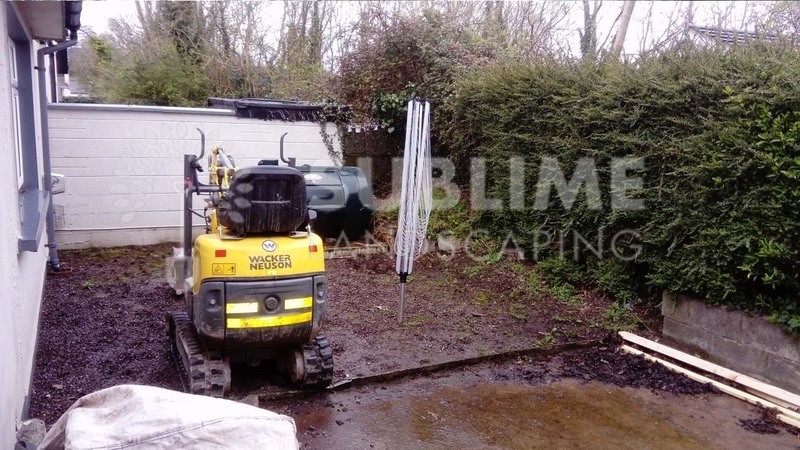 We contacted a number of landscapers but landed on Sublime due to recommendation and we are very glad we did. From start to finish the team were excellent.